Sotheby’s will offer works by some of the most celebrated names in European art history in its Master Paintings Evening Sale on 30 January 2019. Headlined by an impressive group of 17th-century Dutch masterpieces from a distinguished private collection, the auction also features standout works by masters including Orazio Gentileschi, Pieter Brueghel the Younger and Ambrosius Bosschaert the Elder. Open to the public on 25 January, the sale will be presented alongside Sotheby’s Masters Week exhibitions of Master Paintings & Sculpture Day Sale, Old Master Drawings, 19th-Century European Art and The Gilded Age Revisited: Property of a Distinguished American Collection. At the core of this January’s sale is a group of seven paintings of impressive quality from a distinguished private collection. 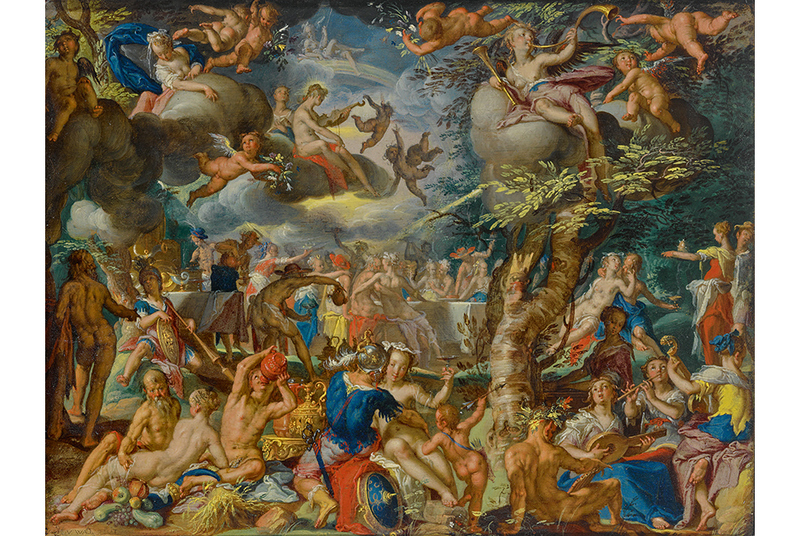 Joachim anthonisz Wtewael, A Banquet of the Gods, signed lower left: J(?) 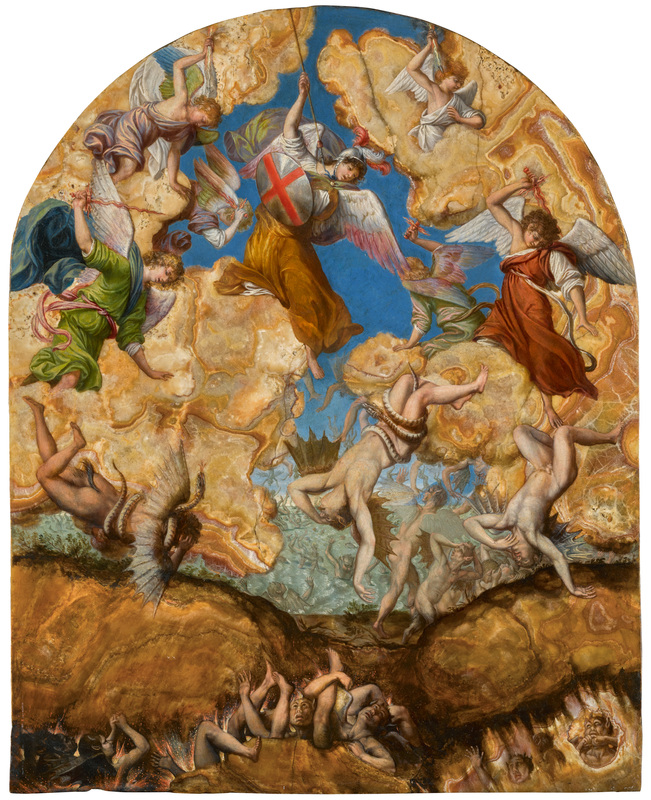 V WÆL FECIT, oil on copper, set into an early seventeenth century oak panel, 6⅛ by 8⅛ in. ; 15.5 by 20.5 cm. Estimate $5/7 million. Courtesy Sotheby's. Leading this group is a remarkably well-preserved Banquet of the Gods by Joachim Anthonisz. Wtewael. Its elegant forms, classical subject, and refined technique exemplify the Dutch Mannerist movement, which included the most important artists in the Netherlands from 1580 to 1620. Praised by his contemporaries for his versatility and prowess, Wtewael was capable of working across mediums on any scale, though it is his small paintings, such as the present work, that are his most prized. The fine brushstrokes and the glittering colors in this copper exploit the smooth, reflective surface of the metal support, and fully reveal Wtewael’s extraordinary skill. This painting further shines a light on this artist’s imaginative and inventive storytelling, for within this small composition, nearly 50 elegantly posed figures painted in a kaleidoscope of color have been cleverly assembled for a heavenly banquet set within a glade and upon an elaborate arrangement of clouds. This luminous scene is a particularly evocative and successful example of the calm, expansive 3seascapes that distinguished Jan van de Cappelle as one of the leading marine painters of the Dutch Golden Age. Bathed in a soft, warm light, this remarkably well-preserved large panel, which likely dates to the 1650s, radiates a mesmerizing effect that transports viewers to the peaceful waters of the Netherlandish coast. 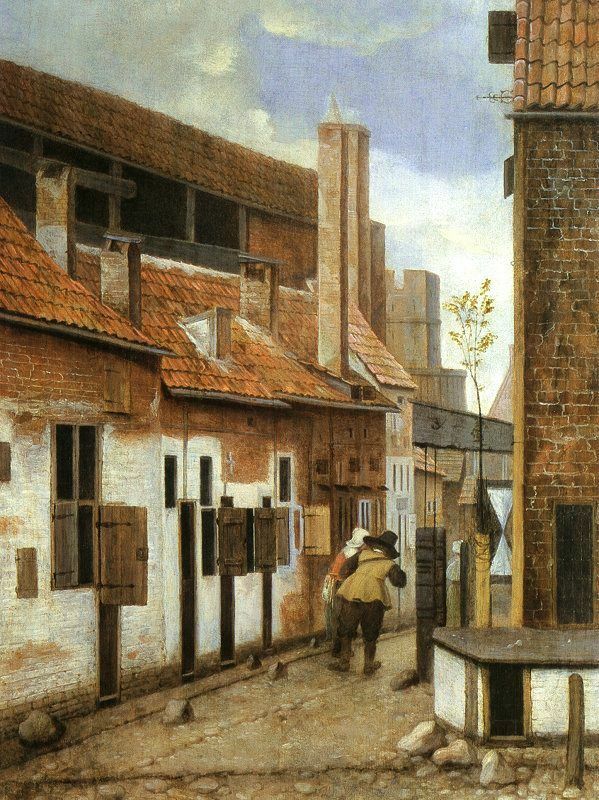 An enigmatic and mysterious master, Jacobus Vrel painted quiet street scenes that speak acrossthe centuries in a way that is strangely affecting. Vrel’s works are incredibly rare – around thirty eight are known, consisting mostly of interior scenes, street views and one church interior, of which nearly half are signed while dated examples range only from 1654 to 1662. The artist’s painting technique – a straightforward manner without glazes or other refinements – complements his unpretentious subject matter and suggests that he was quite possibly self-taught. Though many locations from Friesland to the Rhineland have been sought for his street scenes, they are, in fact, likely to be imaginary. Painted on a large piece of alabaster, this dynamic and dramatic Fall of the Rebel Angels is a relatively early work of Orazio Gentileschi. It was unknown until its reappearance in 2009, when it was quickly recognized by scholars as an important addition to the artist’s corpus. It is dateable to circa 1601/2, at the moment when Gentileschi begins to shift away from his mannerist beginnings to a more naturalistic style, due in part to his burgeoning friendship with Caravaggio. This finely rendered gold ground panel of Saint Anthony Abbot is by Taddeo Gaddi, Giotto’s favorite and most successful pupil. A mature work of high quality and confidence, it dates to circa 1345-1350 and presumably once formed part of a polyptych in the Florentine Church of Santa Maria Vergine della Croce al Tempio, along with other panels found today in the Metropolitan Museum of Art and the Museo Bandini in Fiesole. In this panel, Saint Anthony Abbot (circa 251-356), a hermit saint and the founder of monasticism, is visible in three-quarter length as an aged man wearing a plain monk’s cloak and cowl with remnants of his staff and its tau-shaped handle, he faces to the viewer’s left, with a downward gaze. He is expressively rendered with exquisite detail and sophistication so as to wholly capture the noble simplicity that defines his character. This intensely striking Christ as Triumphant Redeemer is an important rediscovery from the corpus of the Flemish master Jan Sanders van Hemessen. Until only recently, the picture had been nearly completely over-painted, thus masking the incredibly well preserved original composition lying underneath. The powerful rendition of the painted figure, its monumentality and idiosyncratic color scheme, along with 5the technical prowess of Christ’s portrayal all point to Hemessen’s work from the mid 1540’s, thus making this a mature and signifi cant picture of the High Renaissance of Flemish painting. 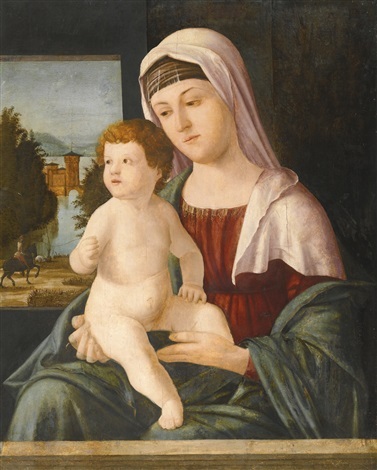 This charming painting of the Madonna and Child by the great Venetian narrative painter Vittore Carpaccio has been largely unseen for most of the last century, known to scholars almost exclusively through old black and white photographs. The painting was seen firsthand prior to 1928, but otherwise, all art historians who have published the painting have done so based on rudimentary images. Consequently, the picture has remained much discussed in the literature, and only with its reappearance has it been possible to assess this panel as an autograph workby Carpaccio, datable to the 1490s, the decade during which Carpaccio had begun to establish himself as one of the greatest and most original painters of Renaissance Venice. This exquisite roundel depicting Saint John the Baptist, despite being a recent discovery, is unmistakably the work of Ambrogio Lorenzetti, one of the most influential painters of the early 14th-century. While the paintings of the artist’s brother, Pietro, adhered to a more traditional 6style, Ambrogio continually strove for innovation, looking beyond his native Siena for inspiration. In the wake of Duccio di Buoninsegna, Ambrogio built upon the invention of the older artist, absorbing the advancements of his Florentine contemporaries in naturalism and spatial awareness and incorporate them into Sienese painting. These small panels constitute a highly important discovery and addition to the oeuvre of Paolo Veneziano, the dominant artistic personality of 14th-century Venice, who was almost solely responsible for the transition of Venetian art from its Byzantine roots to its own distinctive Gothic style. Until recently over-painted, over-gilded and joined as one to form a kind of icon, these works have now been returned insofar as possible to their original appearance as part of the wings of a portable triptych. Both sides of the panels exhibit the finesse and intensity of expression -exemplified here in Saint Christopher’s gaze towards the Christ Child - for which Paolo Veneziano is most prized, and defines him as the most important artist in Venice at this time. 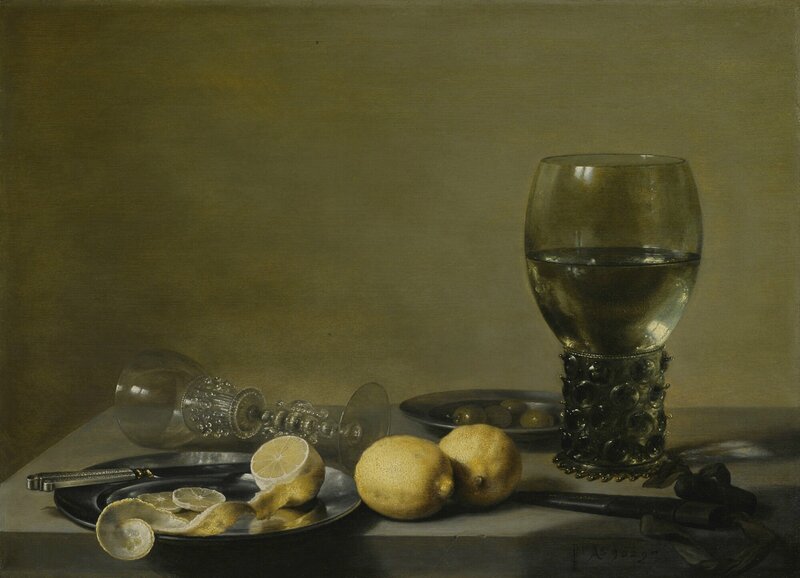 The works that Pieter Claesz painted between 1628 and 1630, of which this is an outstanding example, came to define the classical Haarlem 7ontbijtje (breakfast piece). Their elements are not only very limited, but also biased towards objects such as glassware and silver plates rather than foodstuffs, and their purpose is to balance the composition, rather than to represent a meal. The sale will also feature a magnificent flower painting by another pioneer in the genre, Ambrosius Bosschaert the Elder. Bosschaertwas wholly responsible for the sudden outburst of flower painting in the Netherlands at the start of the 17th century and this beautifully preserved oil on copperis a very fine example of his early works. 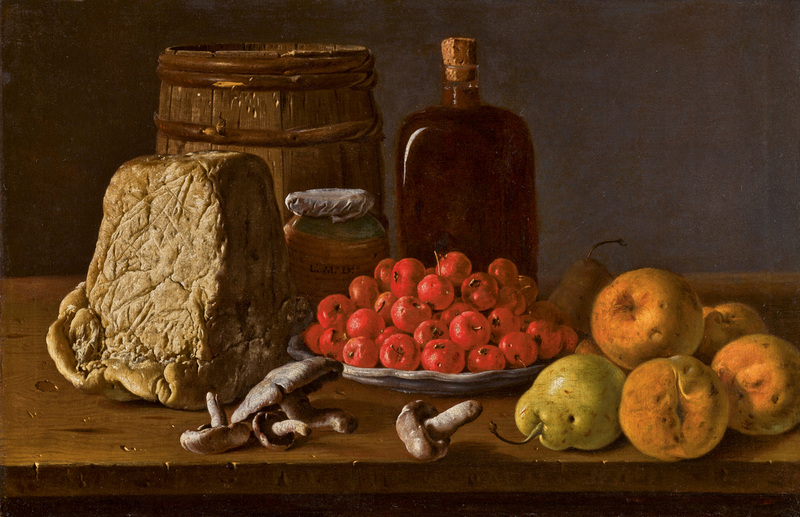 Signed and dated to 1607, this work is little known, having never been publicly exhibited, and only resurfacing to the market in 1965. Spanning Old Master paintings and drawings, to Impressionist, Modern and Contemporary art, and exquisite prints, the collection will be offered across multiple sales in London, Paris and New York in 2019. Francisco José de Goya Y Lucientes, Portrait of the actress Rita Luna. Oil on canvas, 16¾ by 13⅜ in. ; 42.6 by 34.1 cm. Estimate $1/1.5 million. Courtesy Sotheby's. 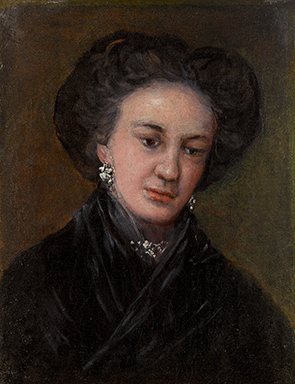 Featuring works by Italian, Spanish, and Dutch masters, the collection is led by a small and intimate portrait of the famous 18th-century Spanish actress, Rita Luna by Francisco José de Goya (lestimate $1/1.5 million). Dated to 1814-1818, it was discovered in a cupboard in the artist’s home by his grandson. Due to its small scale – an unusual characteristic of the other portraits Goya was producing at the time – the portrait is said to have been created for the artist’s own personal use. Additional highlights include a rare easel-sized painting of The Annunciation by the great Lombard 17th century painter, Daniele Crespi (estimate $300/500,000) and a devotional picture depicting The Madonna and Child with St. John the Baptist by Genovese artist, Bernardo Strozzi, painted circa 1620 (estimate $300/500,000).